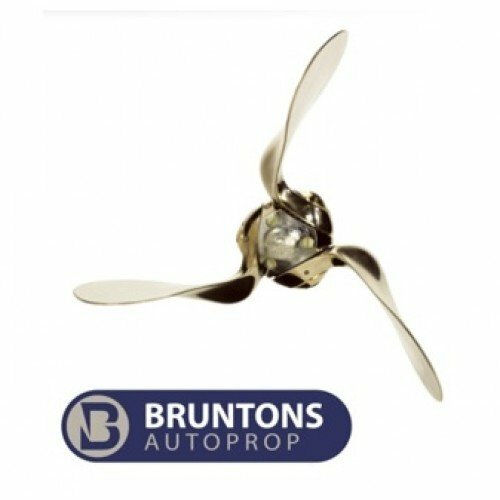 Bruntons AutoProp Feathering Propeller 18.5" 3 blade Sailboat Propeller fits Yanmar, Volvo Penta, Lombardini, Technodrive Saildrives. 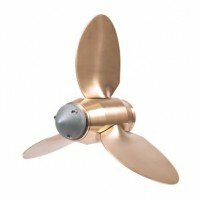 Autoprop H5 Series 3-blade for engines up to 75hp, Shaft Diameters thru 1.375 inch, 35mm and saildrives. 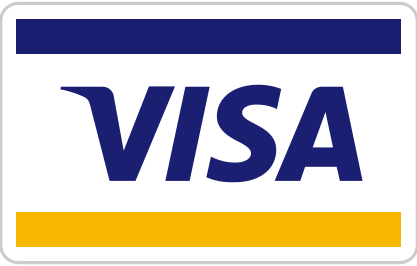 Vessel data required for order. Click here to submit information. 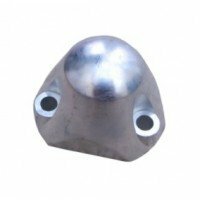 The AutoProp has been developing for over 25 years. 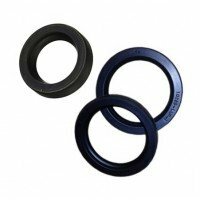 There have been significant changes in engineering and production that have taken advantage of development to continually improve performance and durability. 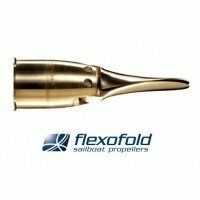 The latest editions are considered the best sailboat props in the world by many world-class sailors and production-boat manufacturers. The AutoProp has the unique ability to change pitch automatically, maximizing performance regardless of prevailing wind and sea conditions. 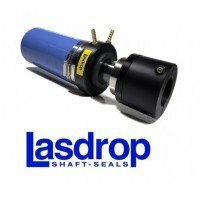 Its “overdrive” feature allows you to motor-sail or motor at lower RPM’s for the same speed, saving fuel, time and wear and tear, just like overdrive on your cars automatic transmission. 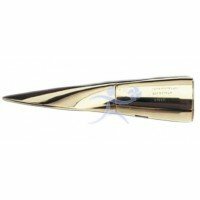 If you bought a prop for its performance in forward, what is it worth if the prop performs the same in reverse? 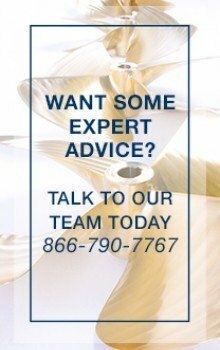 With blades that rotate 180 degrees, the AutoProp blade shape is identical in forward or reverse, virtually eliminating prop walk and optimizing thrust and pitch. Historically installing feathering props is one of the biggest reasons to avoid them…not anymore! 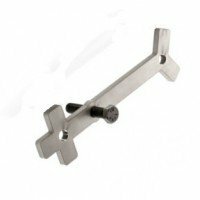 The AutoProp comes fully assembled, ready to slide onto your shaft or saildrive as simply as a fixed propeller. 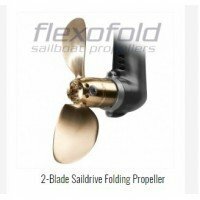 14" X 9.5 Gori 2 Blade folding Propeller fits Volvo & Yanmar Saildrives & Shaft diameters 3/..
Gori Folding Propeller 425mm (16.7" diameter) X 300mm (11.8 pitch) Gori Racing Propeller.Gori Prop 2..
13" Flexofold 2 Blade Folding Sailboat Propeller fits Sail drives & Shaft diameters 3/4" thru 1 ..
15" Flexofold Racing 2 Blade Folding Sailboat Propeller fits Saildrives & Shaft diameters 3/4" t..
Max Prop Classic Sailboat Propeller 2B-12"
12" Max Prop Classic Propeller - Metric Bores Available, Call For Pricing.63mm Hub fits shafts 3/4" ..
Volvo Penta Folding Sailboat Propeller - 14 X 7 X 2 Blade NiBral Propeller. 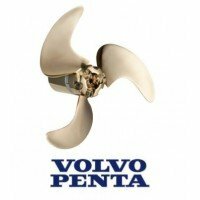 Available in Right ..
Volvo Penta Folding Sailboat Propeller - 14 X 8 X 2 Blade NiBral Propeller. 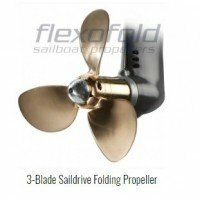 Available in Right ..
14" Flex-O-Fold 3 Blade Folding Sailboat Propeller fits Sail drives & Shaft diameters 3/4" thru ..
15" Flexofold 3 Blade Folding Sailboat Propeller fits Sail drives & Shaft diameters 3/4" thru 1 ..
18" Flexofold 3 Blade folding Propeller fits Sail-drives & Shaft diameters 3/4" thru 1 1/4"..
20" Flexofold 3 Blade folding Propeller fits Sail-drives & Shaft diameters 1" thru 1 1/2" &..
Volvo Penta Folding Sailboat Propeller 14 X 09, 3 Blade NiBral Folding Sailboat Propeller.Available ..
Volvo Penta Folding Sailboat Propeller 14 RH 08, 3 Blade NiBral Folding Sailboat Propeller.Available..
Volvo Penta Folding Sailboat Propeller 14 RH 07, 3 Blade NiBral Folding Sailboat Propeller.Available..
Lasdrop GEN II Shaft Seal 1.000"
Lasdrop GEN II Shaft Seal Fits Shaft Diameter 1"Lasdrop has been rated “Best” by PowerBoat Reports f..
Flexofold FX Propeller Zinc Anode for use on Flexofold 2 and 3 blade Propellers.Length: 1.50" Width:..
Auto Prop Propeller Anode fits H-5 & H-5BB Propeller Zinc Anode with Hardware.Hole Spacing:1.6" ..
Autoprop Propeller Anode fits H-6 propeller Zinc Anode with Hardware.Hole Spacing:1.9" Weight: 0.83 ..
Max Prop Classic Sailboat Propeller 2B-13"
13" Max Prop Classic Propeller - Metric Bores Available, Call For Pricing.63mm Hub fits shafts 3/4" ..
Max Prop Classic Sailboat Propeller 2B-15"
15" Max Prop Classic Propeller - Metric Bores Available, Call For Pricing.63mm Hub fits shafts 3/4" ..
Max Prop Classic Sailboat Propeller 2B-16"
16" Max Prop Classic Propeller - Metric Bores Available, Call For Pricing.63mm Hub fits shafts 3/4" ..
Max Prop Classic Sailboat Propeller 2B-17"
17" Max Prop Classic Propeller - Metric Bores Available, Call For Pricing.63mm Hub fits shafts 3/4" ..
Max Prop Classic Sailboat Propeller 2B-18"
18" Max Prop Classic Propeller - Metric Bores Available, Call For Pricing.63mm Hub fits shafts 3/4" ..
Max Prop Classic Sailboat Propeller 2B-20"
20" Max Prop Classic Propeller - Metric Bores Available, Call For Pricing.70mm Hub fits shafts 1-1/4..
Max Prop Easy Sailboat Propeller 3B-12"
The Max-Prop Easy is a true step forward in Max-Prop design. 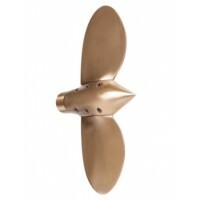 The ease of installation and simple pit..
Max Prop Easy Sailboat Propeller 3B-14"
14" Max Prop Easy 3 Blade Propeller - Metric Bores Available, Call For Pricing.63mm Hub fits shafts ..
Max Prop Easy Sailboat Propeller 3B-15"
15" Max Prop Easy 3 Blade Propeller - Metric Bores Available, Call For Pricing.63mm Hub fits shafts ..
Max Prop Easy Sailboat Propeller 3B-16"
16" Max Prop Easy 3 Blade Propeller - Metric Bores Available, Call For Pricing.63mm Hub fits shafts ..
Max Prop Easy Sailboat Propeller 3B-18"
18" Max Prop Easy 3 Blade Propeller - Metric Bores Available, Call For Pricing.63mm Hub fits shafts ..
Flexofold Propellers | Volvo and Yanmar SaildrivesTaking advantage of modern composite materials, th..
22" Flexofold 3 Blade folding Propeller fits Sail-drives & Shaft diameters 1" thru 1 1/2" &..
Shaft Shark split line cutter unit fits sail-drive propellers from Volvo, Flexofold, Gori and m..
Flexofold Propeller Zinc Anode for use on all 2 blade Composite Hub Propellers. 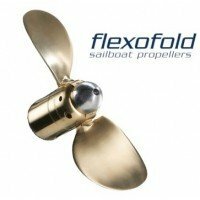 Weight: 65 grams Scr..
Flexofold FX Propeller Zinc Anode for use on Flexofold 2 blade geared folding propellers.Description..
15" Flexofold 2 Blade LA Folding Sailboat Propeller fits Yanmar, Volvo Penta, Lombardini, Techn..
16" Flexofold 2 Blade LA Folding Sailboat Propeller fits Yanmar, Volvo Penta, Lombardini, Techn..
17" Flexofold 2 Blade LA Folding Sailboat Propeller fits Yanmar, Volvo Penta, Lombardini, Techn..
18" Flexofold 2 Blade LA Folding Sailboat Propeller fits Yanmar, Volvo Penta, Lombardini, Techn..
20" Flexofold 2 Blade LA Folding Sailboat Propeller fits Yanmar, Volvo Penta, Lombardini, Techn..
19" Flexofold 3 Blade folding Propeller fits Sail-drives & Shaft diameters 1" thru 1 1/2" &..
Flexofold Propeller Puller for use with all Flexofold propellers with shaft drives only.If your Flex..
Lasdrop Replacement back up seal for use with GEN II. 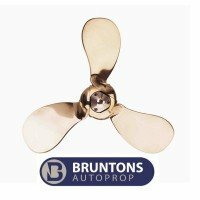 PLEASE SELECT SIZE ABOVE.Lasdrop has..
Bruntons AutoProp Feathering Propeller 17" 3 blade Sailboat Propeller fits Yanmar, Volvo P..
Bruntons AutoProp Feathering Propeller 17.5" 3 blade Sailboat Propeller fits Yanmar, Volvo..
Bruntons AutoProp Feathering Propeller 18" 3 blade Sailboat Propeller fits Yanmar, Volvo P..
Bruntons AutoProp Feathering Propeller 18.5" 3 blade Sailboat Propeller fits Yanmar, Volvo..
Bruntons AutoProp Feathering Propeller 19" 3 blade Sailboat Propeller fits Yanmar, Volvo P..
Bruntons AutoProp Feathering Propeller 20" 3 blade Sailboat Propeller fits Yanmar, Volvo P..
Bruntons AutoProp Feathering Propeller 19" H6 Series 3 blade Sailboat Propeller.Autoprop H6 Series 3..
Bruntons AutoProp Feathering Propeller 20" H6 Series 3 blade Sailboat Propeller.Autoprop H6 Series 3..
Bruntons AutoProp Feathering Propeller 20.5" H6 Series 3 blade Sailboat Propeller.Autoprop H6 Series..
Bruntons AutoProp Feathering Propeller 21" H6 Series 3 blade Sailboat Propeller.Autoprop H6 Series 3..
Bruntons AutoProp Feathering Propeller 22.25" H6 Series 3 blade Sailboat Propeller.Autoprop H6 Serie..
Bruntons AutoProp Feathering Propeller 23.25" H6 Series 3 blade Sailboat Propeller.Autoprop H6 Serie..